Caffeinated Randomness: You big cry baby!…NOT! First time participant of Caffeinated Randomness and I start off with randomness that may not be so…umm… random. I was talking to a couple girlfriends about my “issue”. My hubby says that I’m not sensitive enough! Huh?! As our conversation progressed, he clued me in on a few things he observed. Yes, I cry at weddings; at movies and over puppies dying (he didn’t expect that one!). I have to admit that by and large, I’m not a cry baby. My husband picks up the slack on that. 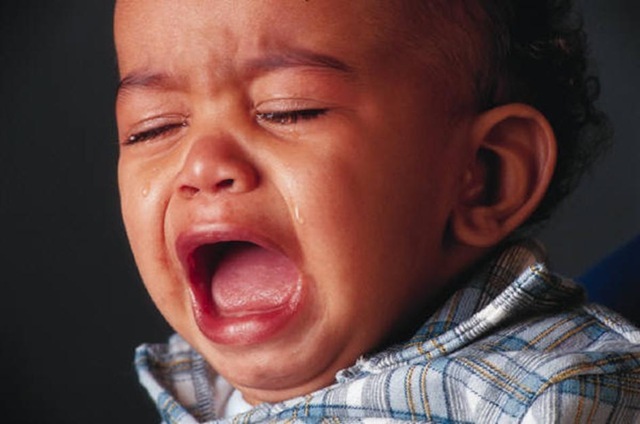 NO, I’m not calling him a cry baby AT ALL!!!! I’m simply stating the fact that he gets a lot more emotional than I do. In defense of myself, I’m truly tender hearted and I’m not hard and am moved by many things. I just, for some reason, don’t always show how deeply it moves me on my face. Without blowing it all out of proportion, he was very light about the whole subject. He was 3/4 joking, so that makes it okay. I can embrace the non-blubbery side of myself. I say that it highlights my ability to quickly find a solution. Today was productive in that I got my hair relaxed..it deserves it too! I got my eyebrows waxed for the first time ever! My eyebrows aren’t an unruly pair, I just wanted a little extra pampering. My best friend is my stylist and I love her to pieces. I promise hope that next week’s randomness will be lighter! Wanna see more Caffeinated Randomness? Follow the Coffee cup above (click it!). To be further encouraged, I invite you to regularly spend time at Under Grace and Over Coffee. By KelaIn Linkin' Up1 Comment on Caffeinated Randomness: You big cry baby!…NOT!